This post is inspired by this week’s Release Notes podcast that focused on holiday recommendations. I like this retrospective on items that have been battle tested through regular use. My focus will be on podcasts, iOS apps, Mac apps and some physical items. This will be a quick, broad sweep across many things that I’ve wanted to review/mention for a while but never had time. Holiday note: I wish you and yours a safe an happy holiday season. I’ll be back with new articles towards the end of January 2017. Wikipedia note: Think back to the past year. Did you use Wikipedia? What if Wikipedia had ads on every page…would that have made it better? If you’ve used Wikipedia in any way, then please consider donating to this great site. Disclaimer note: Please remember that the usual disclaimer applies – these are just my opinions. I’ve decided to limit these recommendations to only 3 podcasts (my list of podcasts is way too long). These are my absolute favorites for this year and you might find them interesting. These are my home screen worthy apps. You might also find them to be useful. 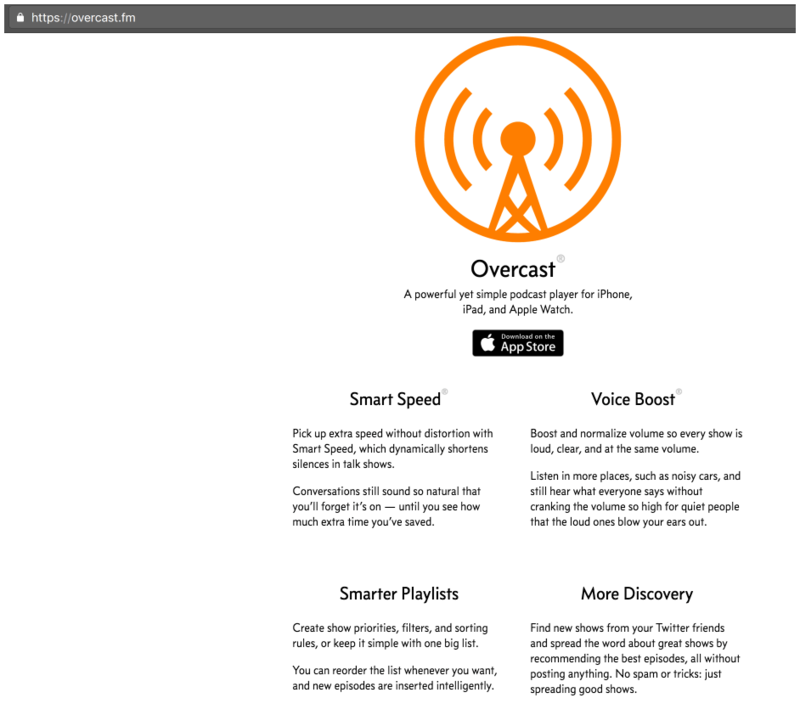 I’ll admit that saying “the best” is somewhat of a ridiculous thing (in the same way that many articles start with ‘finally‘), but I really really like the Overcast podcast player. Its smart speed is amazing at saving time and listening to more podcasts. I’ve started a new experiment in shifting half of my listening to audio books and half to podcasts (from %100 podcasts). My goal is to read more (whether through actual reading or audio books). I’ve subscribed to Amazon’s Audible service and I’ve found the Audible app to be ridiculously great. The ability to save and share audio clips is very well done and its best feature is the ‘Button-Free’ view through which an audio book can be controlled through tactile interface only. I first heard about Due through a John Gruber post. 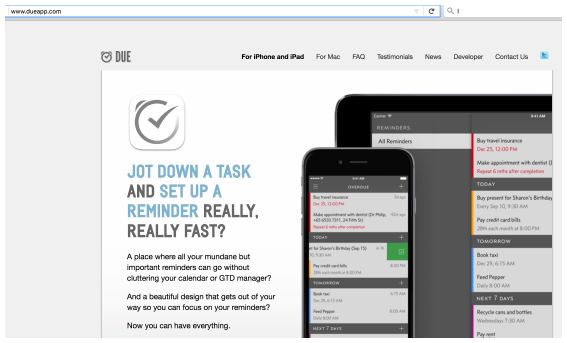 John described Due as “a convenient, low-friction way to set short-term reminders and timers. Sort of like *Pester but for iPhone. Focused and thoughtful design”*. And Due does live up to John’s description (as does Due 2.0). Note: A second runner-up is Alarmed. I’ve been using Soulver on my iPhone for a long time. Whether it’s for a quick calculation or a weekly money-envelope tracking of my coffee habit – soulver is there to help me out. I also purchased the Mac version of the app which allows me to use it to keep Soulver sheets via iCloud. I’ve also used it in complex budget tracking at work. While Excel grinds numbers into baby food, Soulver lets me see the bigger picture. 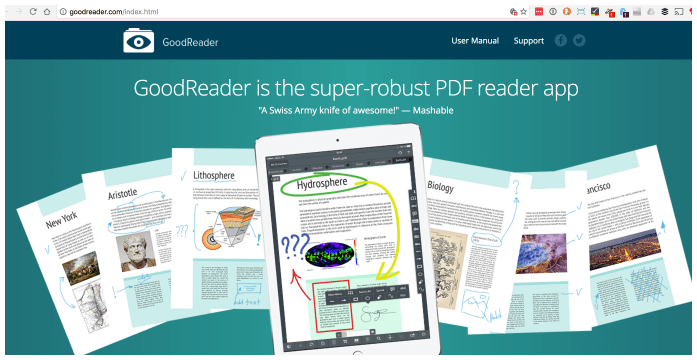 I’ve mentioned GoodReader before. Its primary strength is PDF annotation but it also can play mp3 audio with the niceties of repeat loops (like when you child likes that 1 song that they want repeated over and over and over again), and specific sequences. It certainly gives PDFpen a run for its money and in my experience it has also been more stable (besides better pricing). 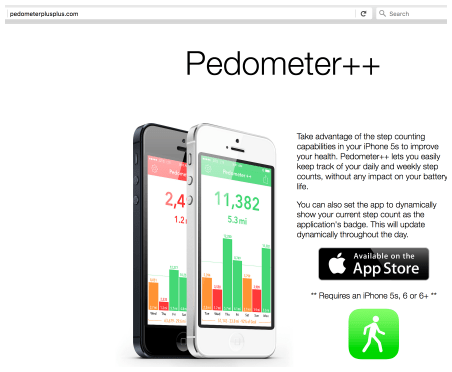 There’s not much to say about Pedometer++. It does one thing and it does it very well – tracking steps. You can set a certain step goal which triggers green confetti (and double the goal step count triggers blue confetti). I know this sounds like the most ridiculous thing but it’s a reward that works well from a habit loop perspective. 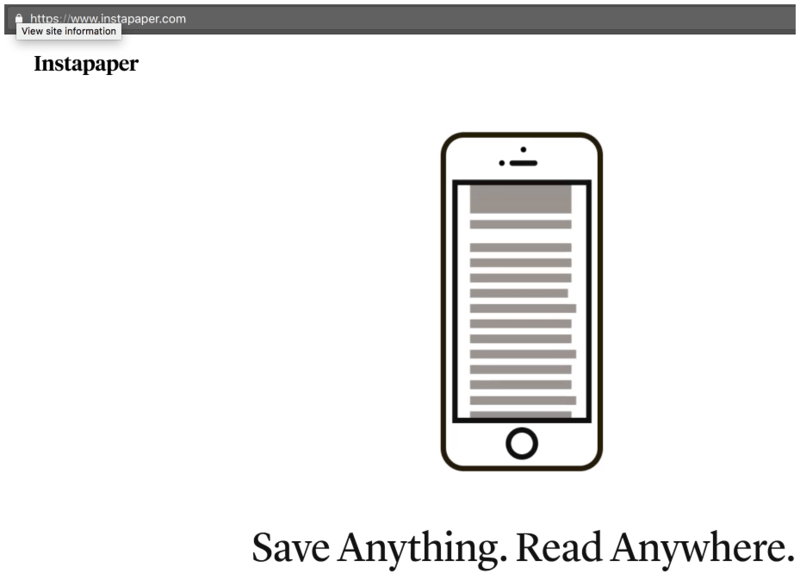 I’ve used Instapaper for many years to read interesting articles that I’ve come across. I can save most web pages to be read later via Instapaper. One cool feature is that you are given a unique email address where you can send articles. This email can be used to subscribe to interesting newsletters. This way – newsletters end up right on Instapaper and can be read anywhere. Marco Arment was its original creator and it has gone through several owners. The current owner is Pinerest who has made all its features freely available. I don’t know if this is a short-term thing. Hopefully not but time will tell. It is certainly worth trying for the price (FREE). While Apple’s Find My Friends feature is very useful, it misses one important point: your friends don’t need to know where you are all of the time. Sure you could turn it off after an activity but who does that. From an app perspective, I consider True Weight to be ‘perfect’ in the way it addresses the topic of weight tracking. The only issue is that it hasn’t been updated since 2013 and iOS 10 occasionally puts up a dialog of “this app may slowdown your iPhone”. Nevertheless it is a great app which I intend to use until it is obsoleted by the iPhone’s operating system. I’ve recently searched for alternatives but they all have fallen short due to either poor UI or friction filled usage issues. I have owned some adjustable dumbbells for a long time. I wanted a simple routine and it took me a while to find Daily Workouts (the amount of crappy exercise apps is mind boggling). 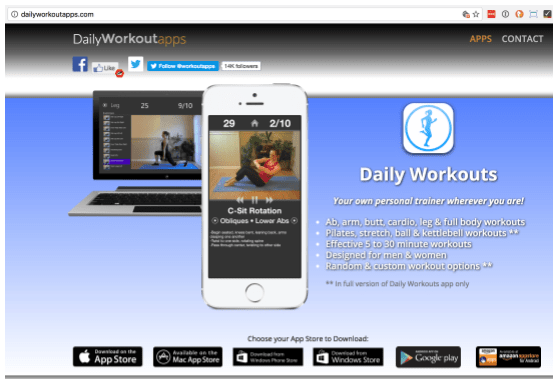 The app provides you with a variety of workout that contain 10 exercises per workout. You can also choose a random workout or a custom one where you set the 10 exercises that you want. I found it worthwhile to get the full blown version for $9.99. It plays well on the iPhone and even better on the iPad. Beyond the standard macOS apps (Mail, etc..), these are apps that are dock worth. 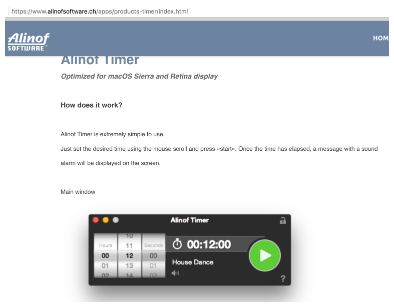 Whether I’m using the Pomodoro technique, some other timeboxing technique, the 2-minute GTD inbox rule or something else requiring a countdown timer – Alinof TimerPro is perfect in providing multiple countdown timers that can stay in the background or be visible on the screen. There are lots (and lots) of crappy timers out there but I’ve found Alinof to be the best (so far). I wont go into the terrific simplicity John Gruber‘s Markdown. 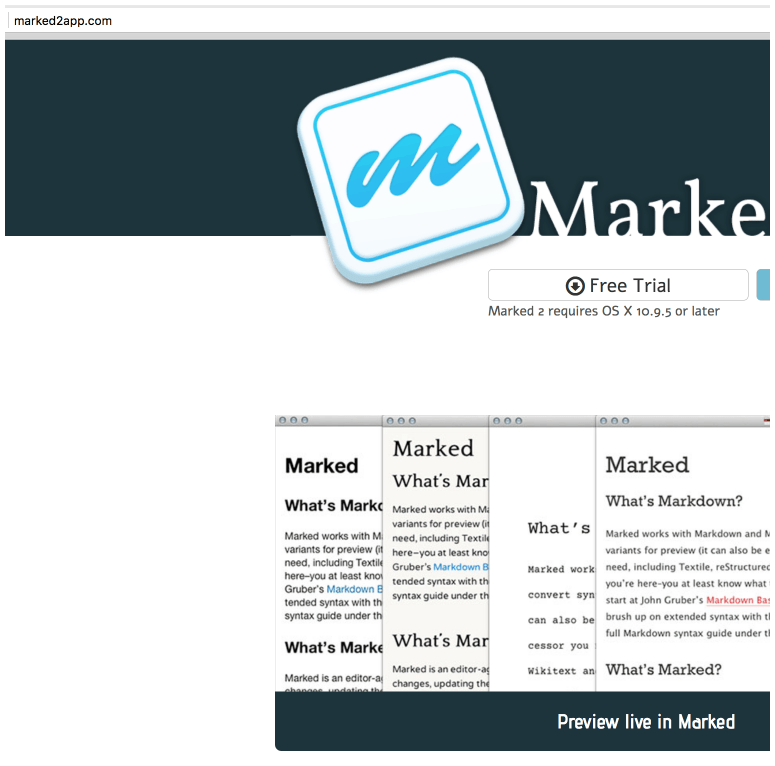 If you’re a Markdown practitioner then you need Marked 2. It works with any editor and it provides a realtime preview of Markdown’s output. It also has a variety of options and themes as well as export options. 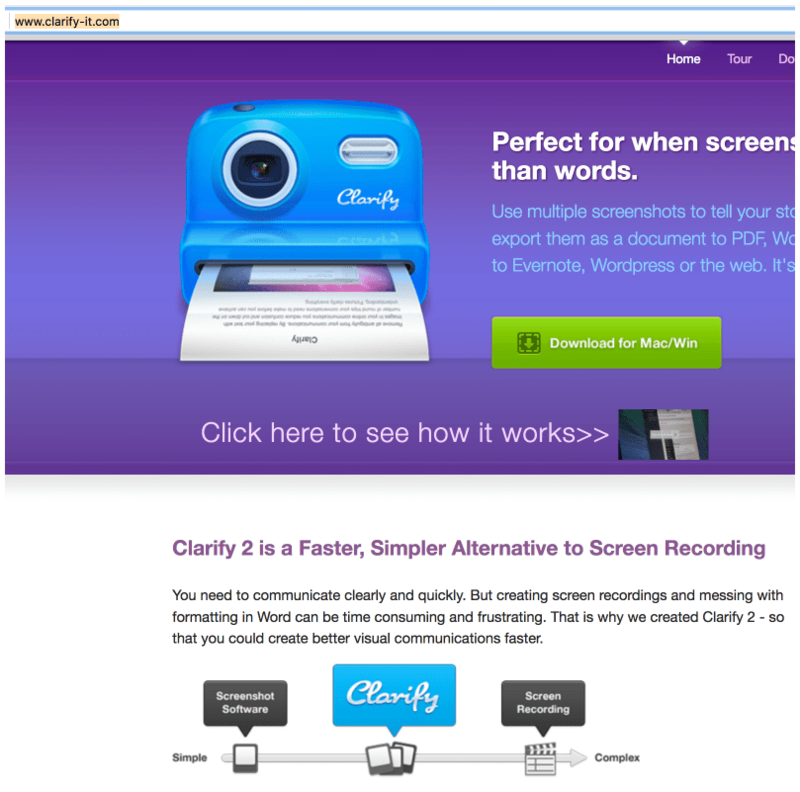 Clarify allows for the creation of excellent documentation through pictures and words. 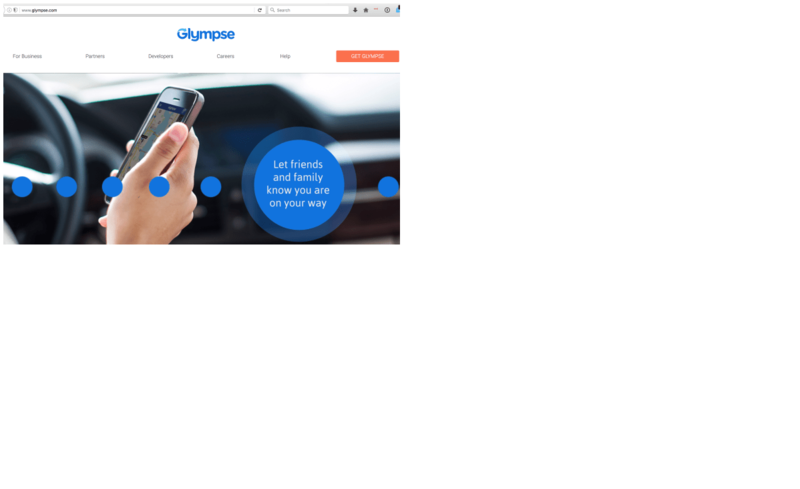 If you need to convey information in a clear and visual way then you’ll find that Clarify is worth every penny. It has many export options but I’ve found its Markdown export capability to be veyr powerful. In reflecting over the past year and looking over my Amazon purchases I found a few products that have withstood daily use and abuse. Note: I have Amazon affiliate links for these products. I’m not sure why Koss decided to market these headphones to women but they work well for men too. In fact, these headphones work well for anyone with ears 🙂 . This chess set is great for any child that is 5 years or older. It really takes out the stress of teaching chess. If you child can pick up a playing card, then they can play No Stress Chess. I’ll admit that the “Superbpag Multi-angle Non-slip Portable Stand Holder Laptop Stand For iPad 2 3 4 Air Mini Retina Tablet and Most Laptop” looks ridiculously chintzy on Amazon’s site. And yet they work ridiculously well in terms of size, weight, and resilience. They also bring some semblance of ergonomics to laptop use in a coffee shop (assuming you have a keyboard of course). 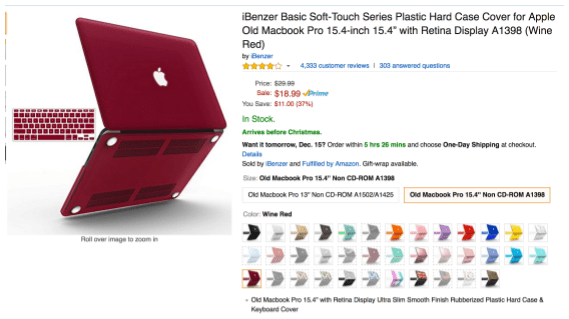 The iBenzer Soft-Touch Series Plastic Hard Case is a light and protective cover for your Macbook. While the cover is great, my biggest surprise was the keyboard cover. The keyboard cover has been very resilient and it does not curl like Kuzy covers (which I’ve previously owned). iBenzer does a great job in both the case and the keyboard cover. Note: Make sure to exactly match you Macbook’s model to the case since there is no ‘one size fits all’ when it comes to these sort of cases and keyboard covers. I hope this app/hardware retrospective is helpful. I wish you a healthy and safe holiday season and a great new year. Thoughts? Feedback? Let me know via @eli4d on Twitter.